DAWN APPROACH (IRE) (Chestnut 2010-Stud Ire. 2014, Aust. 2014). Champion 2YO Colt in Europe in 2012. Champion 3YO Miler in Ireland in 2013. 8 wins-6 at 2-from 5f to 1m, The Two Thousand Guineas, Gr.1, Royal Ascot St James's Palace S., Gr.1, Newmarket Dewhurst S., Gr.1, Curragh National S., Gr.1, Royal Ascot Coventry S., Gr.2. Out of a half-sister to SP Galantas. Related to SW Miss Oceana, etc. His oldest Aust.-bred progeny are yearlings. BLUE COLLAR JILL, by Perugino. 6 wins from 1200m to 1600m, A$99,447, 2d MRC Marie Louise H., 3d MRC BWS H., MVRC Big 6 H., 1300 79 79 59 Bookings H. Sister to BLUE COLLAR JACK. This is her fourth foal. Dam of two foals to race. BLUE COLLAR JACK (Perugino). 8 wins from 1400m to 2400m, A$312,749, Cranbourne Cup, L, MRC Brighton H., 2d Cranbourne Cup, L, MRC Hyperno H., SAJC Sportingbet H., 3d MRC Counsel H., Beau Gem H., Sandown Fashions on the Field H., Trump H., MVRC Marsh Pty Ltd H., Mix 101.1 H., SAJC Penna Michael Accountants H., 4th Werribee Cup, L.
Blue Collar Jill. 6 wins. See above. Tumbling After. 3 wins at 1400m, 1600m in Aust. Encosta Rocket. 2 wins at 1950m, 2200m in Aust. By the Ears. Winner at 1450m in Aust. Gojocci. Winner at 1600m in Aust. Double Vision. Winner at 1500m, 3d MRC True Jewels 2YO H.
Bigmordrive. 2 wins at 1800m, 2200m to 2016-17, 3d BRC #Sevensins P., SCTC Clare Williams Piano Tuition P.
MELLOW CHATEAU (Northern Chateau). 3 wins. See above. Kilkea (Northern Chateau). Winner at 1600m, 2d VRC Debonair S., L, MVRC Pacific Jockey Challenge H., 3d MVRC Doritos 2YO H., VATC John C Reilly H., Veneda H., 4th VRC Gibson Carmichael S., L, Geelong RC Derby Trial S., L.
Thifan. 5 wins-1 at 2-from 1100m to 1600m, TRC City of Glenorchy H., TTC RPA H., Express Post H., Fixers H., 2d TTC Liquor For Less H., 3d TRC Premier's P., TTC Cybernetics Australia H., O'Hara's Resort H.
Romp Around Jill. Winner at 1100m, 3d TRC Old Virgilians Association H.
Bamberg. Winner at 2200m in 2015-16 in Aust. Bren's Boy. Winner at 1600m in Aust. Northern Warrior. 8 wins from 1200m to 1900m, A$99,655, 2d VRC VOBIS Twilight Yearling Sales H., Breakfast With The Stars H., MVRC 101.1 TTFM Early H., 4th VATC Rancher H., L.
Magical Costa. 3 wins from 1200m to 1600m, 3d MRC Gipsy Queen H.
Inquisitional. 3 wins from 1600m to 1950m in Aust. Ladllow. Winner at 2200m in Aust. Mellow Rule. Placed in Aust. Royston Scotch. Placed in Aust. Mellow Magic. Winner. See above. Camoquill - Fu Yeung (Mac.). 2 wins at 1200m in Aust. Man of Style. 2 wins at 1200m in Aust. Boogieman. 5 wins from 1500m to 1800m, QTC Pacific Islands Club H.
Warning Warning - Promise (Mac.). 2 wins at 1200m in Macau. Big Mover. 2 wins-1 at 2-at 1000m, 1200m in Aust. Rocket Shoes - Tanamera (Mal.). 2 wins at 1200m in Aust. and Malaysia. Azamor. 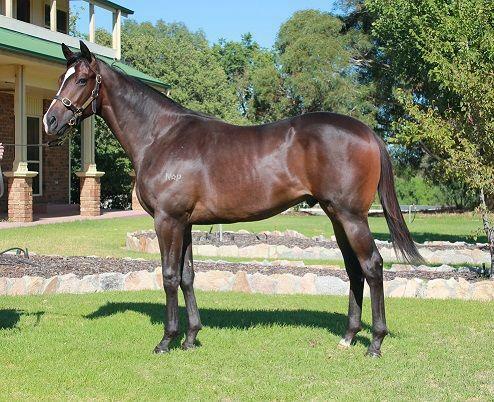 6 wins to 1300m, STC Celebrity Thoroughbreds H. Producer. Red Cord. 7 wins-3 at 2-to 1150m in Aust. LIGHT AND DRY, by Wilkes. 2 wins-1 at 2-at 6f, 7f, MVRC Ailsa H. Dam of 7 foals, all raced, 2 winners.